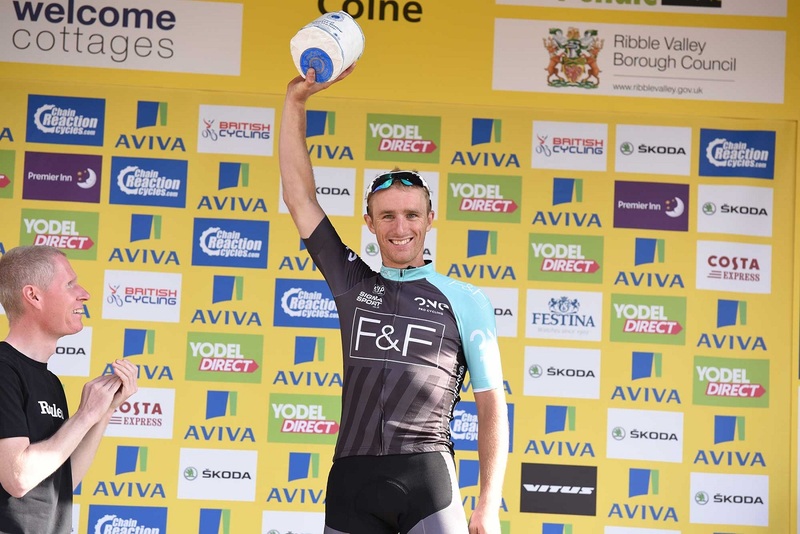 Etixx-QuickStep’s Petr Vakoč took over the lead of the Tour of Britain after a stunning solo victory on the second stage of the race into Colne. The Czech national champion attacked his breakmates with 19km to go, maintaining a small gap over the rampaging peloton all the way to the line. 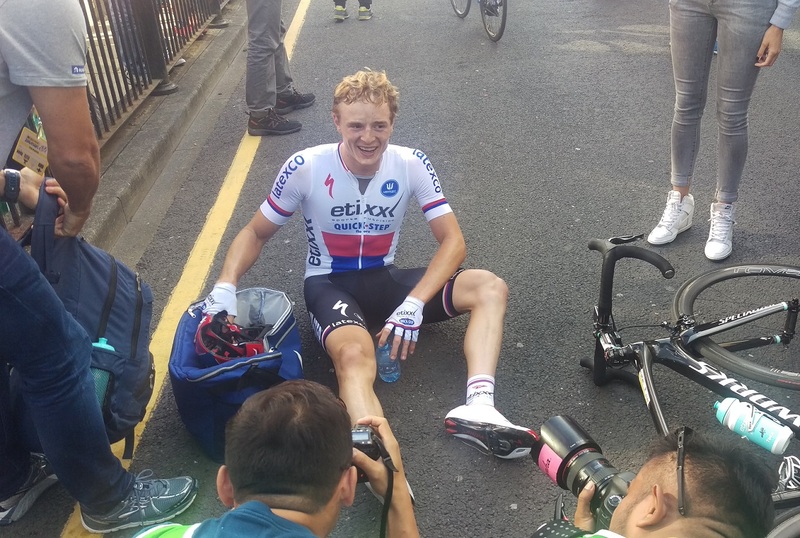 The World University Champion and second-year pro said after the stage that he didn’t expect the win. Earlier in the day, Peter Williams (One Pro Cycling) was on the attack once again, keen to secure another combativity awards and another block of cheese. Movistar’s Alex Dowsett, who led the race last year, joined Williams in an attempt to replicate his 2014 success. Dowsett was, however, forced to drop back as the Team Sky-led peloton looked loath to let him go up the road. The race really got going on the second category climb of Bleara Moor, 100km into the 159km stage. 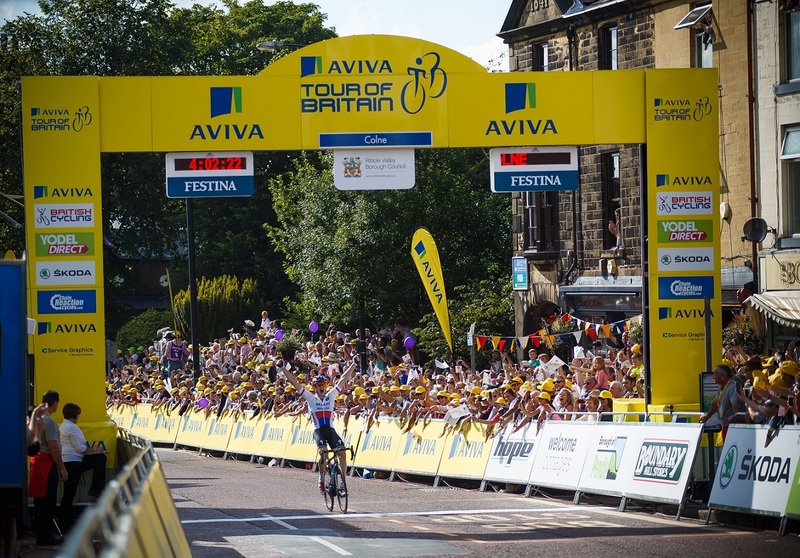 A group of forty riders split away from the main peloton over the top as Williams was caught, with race leader Elia Viviani falling back. Vakoč attacked on the descent, along with BMC’s Danilo Wyss and Great Britain’s Alex Peters, and the trio were soon joined by Wout Poels (Sky), Serge Pauwels (MTN-Qhubeka), Pim Ligthart (Lotto-Soudal), Rubén Fernández (Movistar) and Alberto Bettiol (Cannondale-Garmin). The lead group never got a gap of more than fifty seconds, but with no race radios there was always a chance they would stay away. With Tinkoff-Saxo and Lotto-Soudal leading the chase, the 23-year-old seized his moment, holding on to win by seven seconds before collapsing, exhausted, metres after the line. Movistar’s Juan José Lobato led the peloton home, and perhaps he would’ve triumphed had the Spanish squad put in the work. Edvald Boasson Hagen of MTN-Qhubeka rounded off the podium.